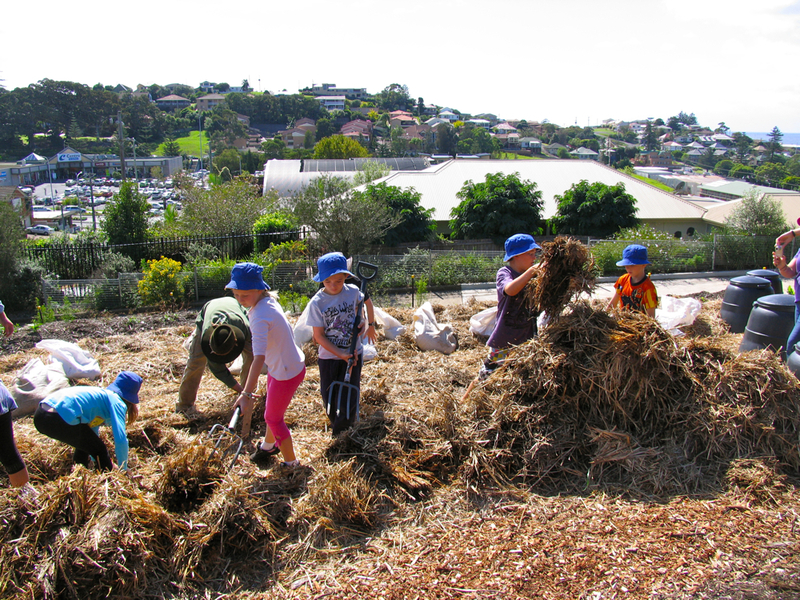 Sheet mulching and no-dig gardens have a fair bit of cross-over, and it depends what school of gardening you’re from as to what your preference is, coupled with your conditions. 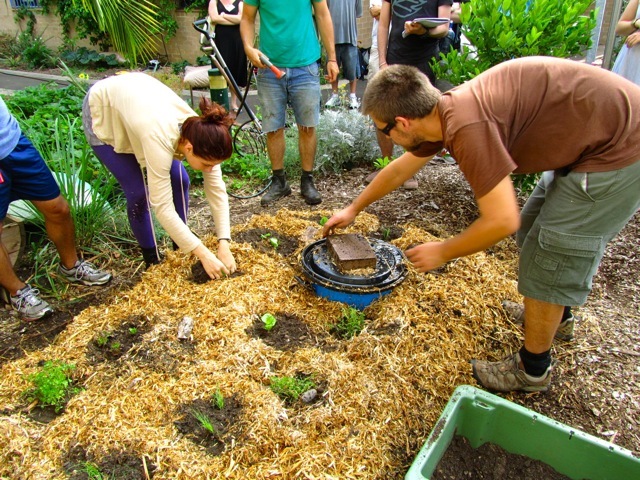 Making a no-dig bed at a workshop during one of our Sydney permaculture courses. Myself, I’m more of a no-dig bed gardener. We’ve made too many of these gardens to count, between our farm, permablitzes and workshops. The no dig bed above even has an added worm tower (it’s the blue barrel thing). 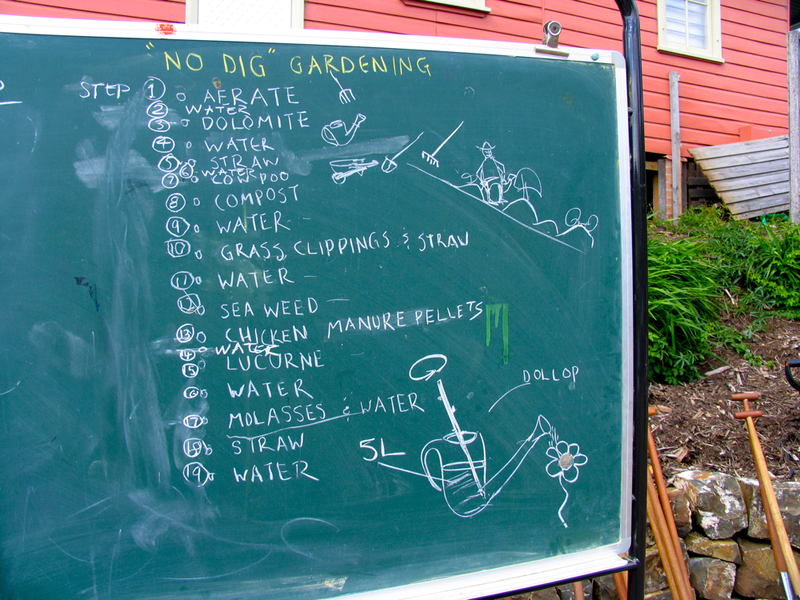 No dig gardening was brought to prominence at Milkwood by a sweet little book by Esther Dean: No Dig Gardening and Leaves of Life. We’ve been trying various versions of it ever since. Not only is this type of gardening a great deal of fun, it’s highly participatory, and fantastic for school gardens. Both Aaron Sorensen and Leonie Shannahan use it extensively in their school garden projects. Sheet mulching is a similar premise to no-dig. Smother the undesirable plants, mulch heavily, make a lasagne of carbon and compost, and plant lots. A good burst of energy now for minimal labor further down the line. Sheet mulching diagram. Origin unknown. 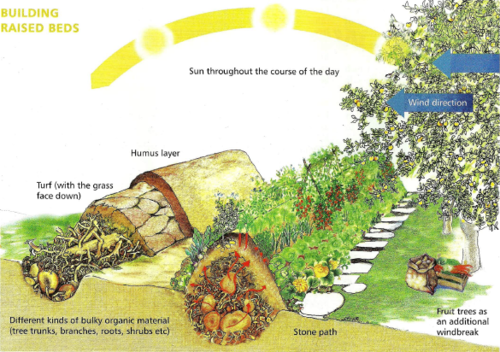 Recently I was reading Sepp Holtzer’s Permaculture, a newly released book describing a landmark Austrian permaculturalist’s farm, which had some funky designs for hugel beds. Does anyone out there have any stories of running intensive organic beds (ie prepared compost and soil beds) alongside no-dig or sheet mulched beds? 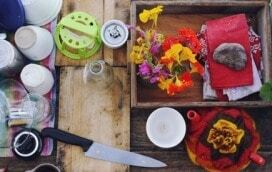 In less than a months time we're hosting a Permaculture Teacher . . 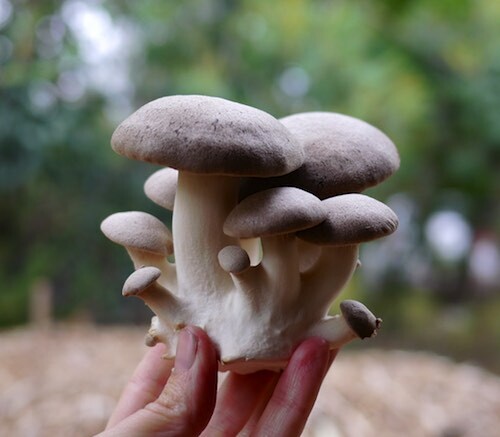 So much exciting stuff happening at Milkwood – thanks for sharing in such detail. I’ve been growing vegies for 13 years and in that time have used a range of different systems from no-dig to chook tractor beds to traditional soil based beds. I’ve found perennial food plants such as asparagus, rhubarb, artichokes, scarlet runner beans, herbs, strawberries etc work best in no dig beds, while most annual vegies, especially root crops, are easier in intensive organic beds. I like some soil in my gardens! My current veg patch is reasonably traditional. It consists of nine raised beds 200mm high laid out in a potager style – not very permie with all those straight lines, but it’s a practical patch to work. The beds were initally filled with a mix of decent quality site soil, screened topsoil from a site not far away, aged goose and chook manure from some disused pens on site, plus a decent amount of aged horse manure and composted pig manure. The lots was limed initally to sweeten things up, and I still regularly lime (depending on the crop) with either dolomite or wood ash from our combustion heater. Home made compost is added regularly and we use lots of organic sugarcane mulch. The nine beds make crop rotations easy to manage. My view is that all veg gardens require some tilling, either at establishment or ongoing. Even no dig beds need to be lightly dug when planting seedlings or in preparation for different crops. So I call my overall approach these days “minimal till”. If I can avoid tilling, I do. For carrots and deep rooted crops, I till. 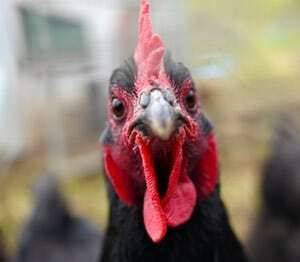 When using green manures (difficult with no dig beds), I till. My soil structure, moisture holding capacity, and drainage is improving all the time, so this approach works for me. On other sites, no dig miight be more approppriate. Best wishes for the establishment of your market garden. My late grandpa was a market gardener in Brisbane, so I’ll be following your progress with interest. I am hoping you might give me some advice. We have a 3.5 acre woodland area that is overrun with rhododendron. We are clearing it away in stages and need to mulch to stop it becoming overgrown with whatever we don’t want there. Eventually we want to be able to plant out an orchard. The woodland is shrub woodland and consists of willow, birch and hazel mostly. It is self seeded and whilst looks nice a lot of the trees are on their last legs and in winds we regularly have trees fall over. 1. Is this the best form of mulching for our circumstances please? 2. When we fell a tree, up to now we have been removing the stumps via a digger. The digger ruins the ground though and we would now like to just leave the stumps. It has been suggested to cut them down to ground height and leave them to rot. Trouble is willow particularly doesn’t rot, it just resprouts! Any thoughts please? you could cut the willows off at the ground and coppice them for stickwood annually – great source of hot-burning firestarters… re living mulch, i’d get in touch with your local permaculture association and find out what folks near you and in similar conditions use? I’d also look up Martin Crawford’s forest gardening resources that are all UK based – good luck!